Schools of Prayer. A variety of training focused on learning, experiencing and leading in the area of prayer. The most popular School of Prayer we offer is called Enriching Your Personal Prayer Life – and the heart of that school is helping folks understand prayer and its components and build a healthy prayer life with communion with God at the center. Additional schools include: Praying through the Tabernacle; Heaven is a Courtroom; Intercession and Spiritual Gifts; and a ‘build-your-own’ school option. We also offer ‘experiencing’ schools – Prayer Missions (Reading a City), Prayer Leadership, and more. Let us help you launch a prayer learning experience in your congregation! Pray-Your City-Pray. Plenary and workshop speakers across a wide variety of prayer topics. 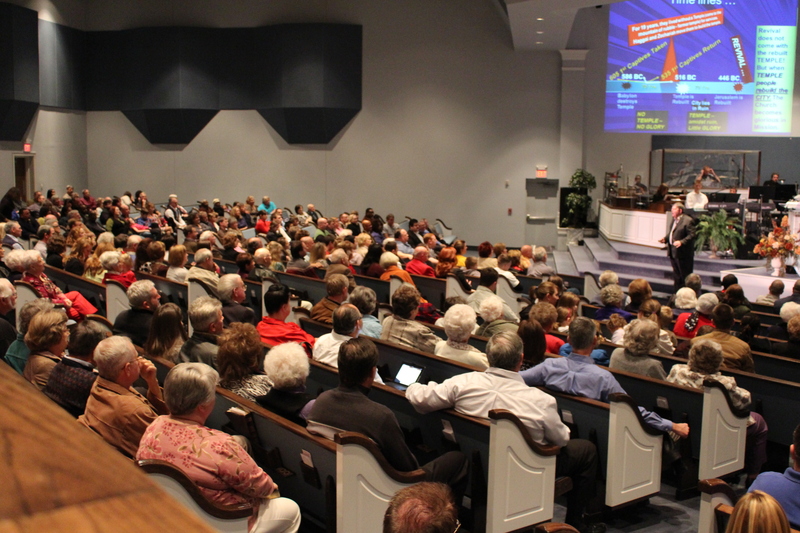 Ten area churches come together as sponsors, preferably across denominational lines. The attendance threshold for these conferences is 300. They are supported by the underwriting of the sponsoring congregations and a modest registration fee. Interdenominational speakers are available for the event. The Prayer Council Project. The Prayer Council Project is a long-term process aimed at coaching a city, pastors and lay leaders, intercessors and para-church leaders, through a “Decade of Destiny” process – aimed at engaging the city with the gospel in fresh ways, out of a movement of compassion and care, and that, on the back of a pervasive prayer movement. Prayer Summits. This relational prayer and worship experience is a time of seeking the face of God with a focus on personal transformation and renewal. Here, prayer is learned by experience, laced with spontaneous content moments. Simultaneous Revival. In cities where at least five congregations will commit to a simultaneous revival effort, we offer a team of revivalists who focus on repentance, holiness, revival and renewal in the church and awakening in the culture. A simultaneous revival effort, to be effective, should reach across denominational divides and unite a city. The emphasis of this team is on exalting Christ and touching a city. With five or more revivals going on in the city along with unifying training and prayer events, with preaching calibrated toward transformation – the potential exists for city impact. Special morning and afternoon sessions are available as well. Call for more information (855-842-5483). Prayer Impact Weekend. Doug shares with pastors or prayer leaders on Friday night, conduct prayer training (a School of Prayer) on Sunday. Speak at one of the sponsoring congregations on Sunday, and do a community prayer service that Sunday evening. You can build your own experience. Family Life Enrichment. Doug often speaks at couple’s events, men’s retreats and family conferences. The Couple’s Clinic is the family life seminar Doug has presented to thousands of couples. In that experience, couples learn about the stages of marriage – the tough times. They discover their learned conflict style and basic reflective listening skills that focus on conciliation. They look at the Jesus-style of forgiveness.